Sharing a file from Google Drive is a great way to let clients and contractors access documents without having them to download them. 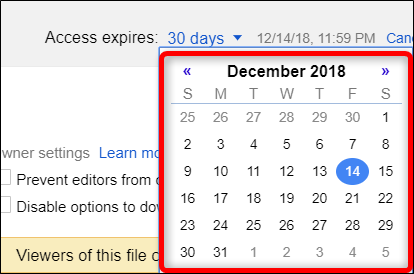 If you only want people to have temporary access to files, you can set an automatic expiration date when you share them. Here’s how. Note: To use this feature, as the owner of the document, you need to have a paid G Suite account. People with whom you share document do not need a paid account to view the documents. 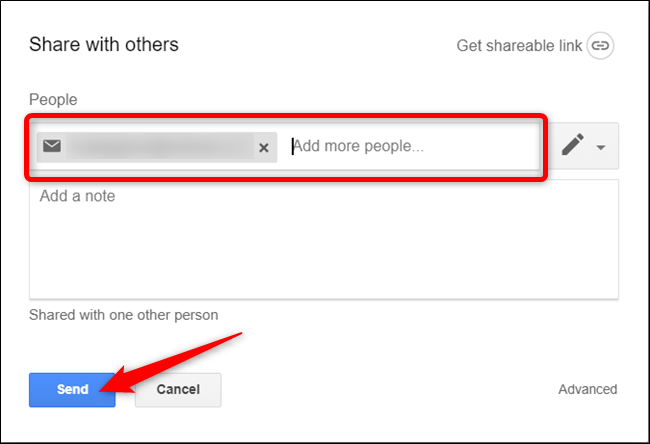 Fire up the Google Drive that’s linked to your G Suite account, right-click the file you want to share, and then click “Share” on the context menu. Add the email addresses of all the people with whom you want to share the file and then click the “Send” button. If you send the invitation to a Gmail account, those people are added automatically to the list of people who can access the file. If you send to another type of address, each person will receive an email with a link that directs to the file. Now, right-click the file and click the “Share” command again. This time with the share options open, click the “Advanced” link. Beside each person’s contact information, you’ll see a timer icon. Click it to set an expiration date. From here, click the “Access Expires” drop-down menu to choose 7 days, 30 days, or to set a custom expiration date. Choosing the “Custom Date” option opens a calendar for you to select a more precise date. If you want to set an expiration date for anyone else, click the timer next to their name. You must set an expiration date for each person. Finally, click “Save Changes” to finalize the edits you’ve made to all the users. There is one caveat here of which you should be aware. By default, people you share with can download, print, or copy the file and if they do so, they’ll have access to those copies after any expiration date you set. You can set their permission to view only and then turn on the “Disable options to download, print, and copy for commenters and viewers” to prevent this, but those people won’t be able to edit the document. Still, if you have people that just need temporary access to view or comment on a document, this feature works great.